Whatsapp is one of the most popular messenger of recent times . Few days back whatsapp got updated to version 2.17 . WhatsApp is updated with gif feature which is not in previous versions . 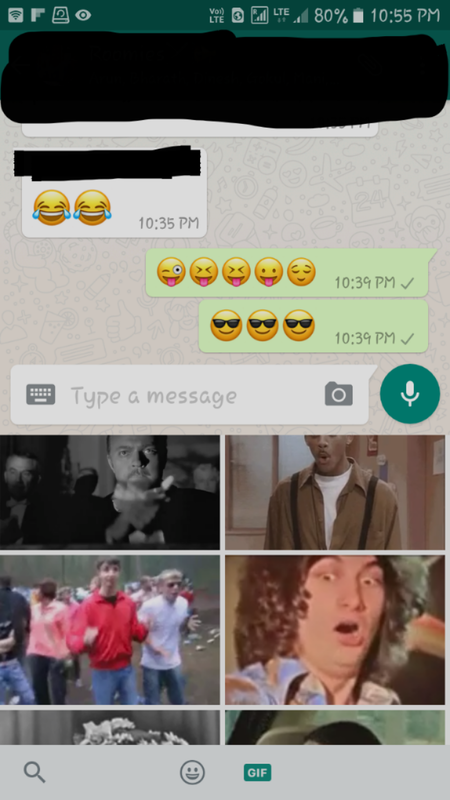 Facebook and hike messenger has their unique sticker and gif and now whatsapp WhatsApp allows you to send and recive gif . How to access gif in whatsapp ? Unlike facebook its very simple to access whatsapp gif . Click on emojis as you do usually. After update it will show you like this (above picfure ) Click on gif option and choose the gif image that you wish to send . Then click on sendnow option. Upadte whats app and enjoy this New feature!